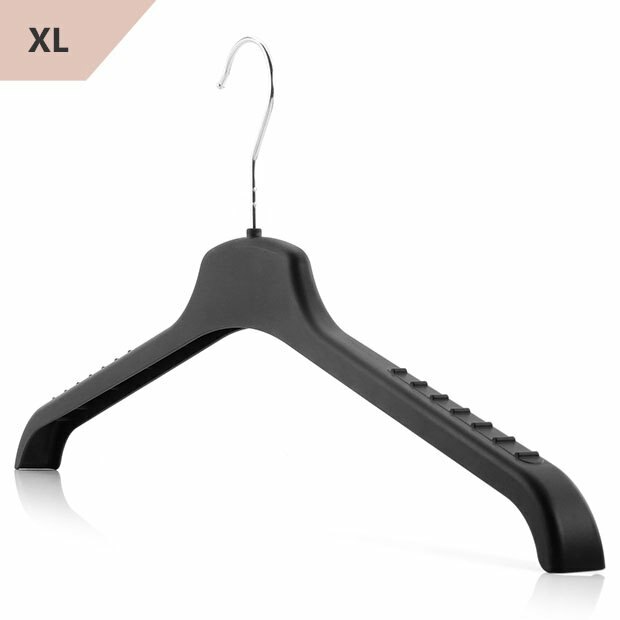 Ideal for jackets, jumpers, shirts, t-shirts and coats. Thicker arm profile gives jackets and coats support. Arm ridges protect woolens and sweatshirts from slipping off and losing shape. Durable, strong, smooth plastic with rounded smooth hook end . Not extra wide at all !